This page defines and compares the various combinations of variables and values, including polynomials, and is followed by practice problems. See links at end of page to further operations with polynomials. This series of lessons defines monomials, binomials, and polynomials, and shows how to add and subtract them, followed by practice problems. 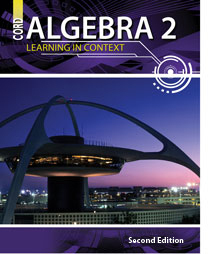 This series of pages teaches and provides several examples for factoring of polynomials. This page teaches and demonstrates with videos and text finding the greatest common factor to factor polynomials, including recognizing prime polynomials (that cannot be factored). This page contains links to a lesson and practice for dividing polynomials. This series of five pages describes how one can discern many features of polynomial functions from their graphs. This page has a graphing applet, analyzing several features for a polynomial the user provides, such as n umber of roots, minima, maxima, points of inflection, and so forth. This page provides some quiz questions to test your ability to interpret the graphical characteristics of polynomials. This series of pages describes how to factor a polynomial by synthetic division. This page demonstrates and practices how to use the factor theorem and remainder theorem with synthetic division to work with polynomials. NEW This page presents a tutorial and practice problems on the various strategies for solving polynomial equations.